Asus at CES 2018 showed off an incredibly thin and light notebook in the ZenBook 13. Unfortunately for demanding users, the machine lacked a discrete GPU – an issue that Asus has since addressed. The new Asus ZenBook 13 UX331 is a true Ultrabook (not just any thin and light system can earn that branding) with measurements of 12.2” x 5.8” x 0.47-0.55” that tips the scales at 2.47 pounds. It features a 13.3-inch Full HD (1,920 x 1,080) IPS touchscreen display driven by Intel’s Core i5-8250U processor (clocked at 1.6GHz that can Boost up to 3.4GHz). 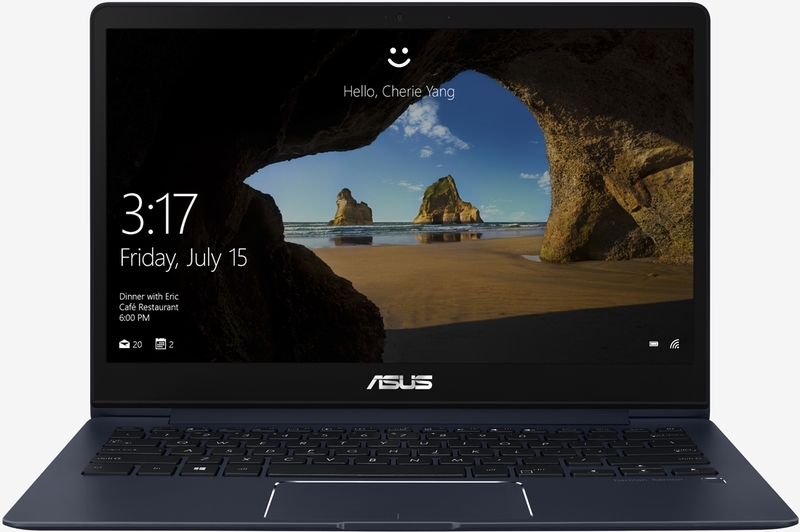 According to Asus, the ZenBook 13 is the world’s thinnest laptop with a discrete GPU. The system also packs 8GB of RAM, 256GB of solid-state storage and an Nvidia GeForce MX150 GPU with 2GB of GDDR5 which should be able to handle moderate GPU-intensive loads. Expansion ports include a USB 3.1 Type-C port, two USB 3.0 ports and a micro SD card reader. You also get a single HDMI 2.0 interface, headphone-out / audio-in combination jack and the usual gamut of wireless connectivity options. The unit’s 50Wh lithium-polymer battery affords up to 14 hours of runtime and can be recharged to 60 percent capacity in just 49 minutes. The Asus Zenbook 13-WS51T is available to purchase as of writing for $999 directly through Asus. Newegg and Amazon also have the system listed although it’s currently out of stock and won’t be available until February 19 at the earliest.